This heavenly concoction came about by happy accident. I was watching a Food Network show about confections that highlighted the Sugarland Bakery in Chapel Hill, North Carolina. 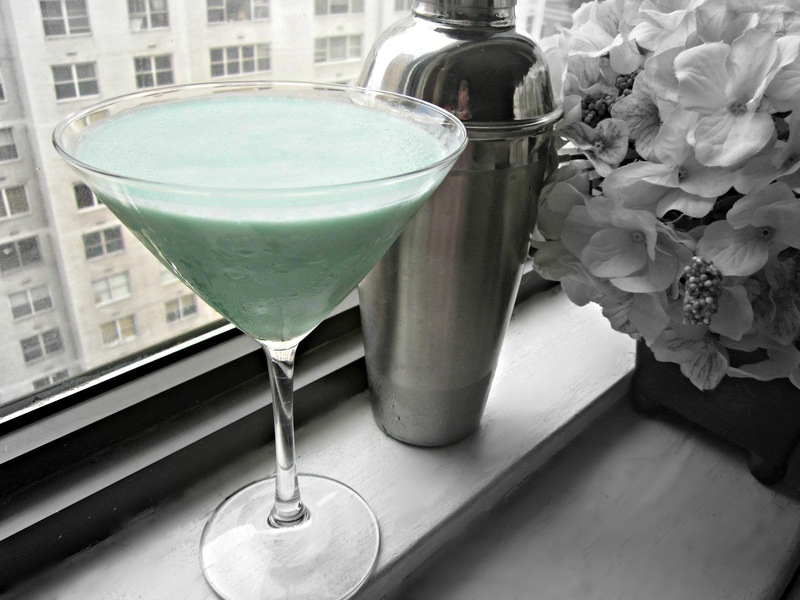 In addition to traditional bakery goodies, they serve gelato cocktails including a signature blue Tartini that caught my eye. It looked so delicious that I instantly wanted one! But although the show mentioned some of the ingredients, I could not find a recipe. So, after a quick trip to the store for Blue Curacao, I got out my blender and began to experiment. 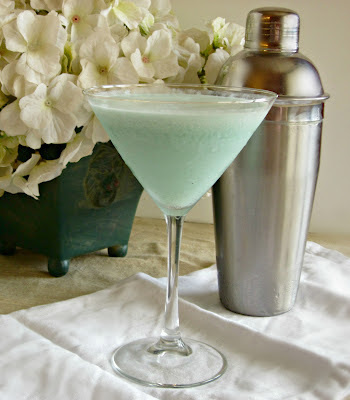 I must admit that the first batch was a failure so I decided to temporarily abandon the vodka and try to cream up one of our other favorite cocktails, the Cointreau Daiquiri. It only took a little tweaking to create this unique and delicious addition to our summer cocktail fun. Cheers! Combine all the ingredients in a cocktail shaker filled with ice and shake well. Pour into a chilled cocktail glass and place in the freezer for at least an hour. The alcohol will never freeze but the top and sides of the drink will. When you remove the glass from the freezer, mix lightly with a spoon and serve immediately. Pretty and tasty! I love experimenting with cocktails too, blue curacao is always fun to play with! I wish I saw this sooner! I had a boy baby shower yesterday and this would have been the perfect punch! Gelato cocktails? Be still my heart! What a gorgeous color this drink is, Anita.